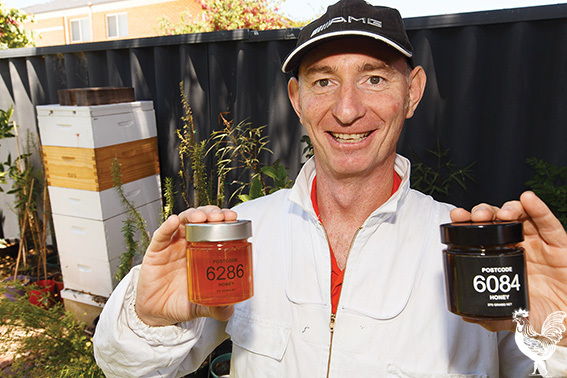 THE honey made in John Faherty’s North Perth backyard is lemon-yellow and tastes like lollies. In Karrinyup it’s a bit salty, whereas in rural Chittering bees feeding on red gums produce dark, molasses-like honey, he says. Mr Faherty is on his way to setting up a beehive in every Perth suburb—all 120-odd—as part of his Postcode Honey business. So far, he has keen residents on board in 40 urban and 30 rural yards. Pointing to a jar labelled “6020”, he says, “that’s an old workmate”. Honey from 6286 is his father-in-law’s place and 6018 is where his brother-in-law is based. Each postcode, and season, offers different accents of flavour and colour: it’s a far cry from the stuff stocked on supermarket shelves. Scraping aside wax to taste his fresh, raw honey, Mr Faherty says his last batch was darker and slightly bitter because nearby peppermint trees had been in bloom. He suspects the lemon-yellow honey he’s getting now is mostly because bees are feeding on box trees. His network of collectors has slowly grown since July, when Mr Faherty quit his oil and gas job to create the business. “I worked for a beekeeper about 20 years ago as a student in New Zealand,” Mr Faherty says. 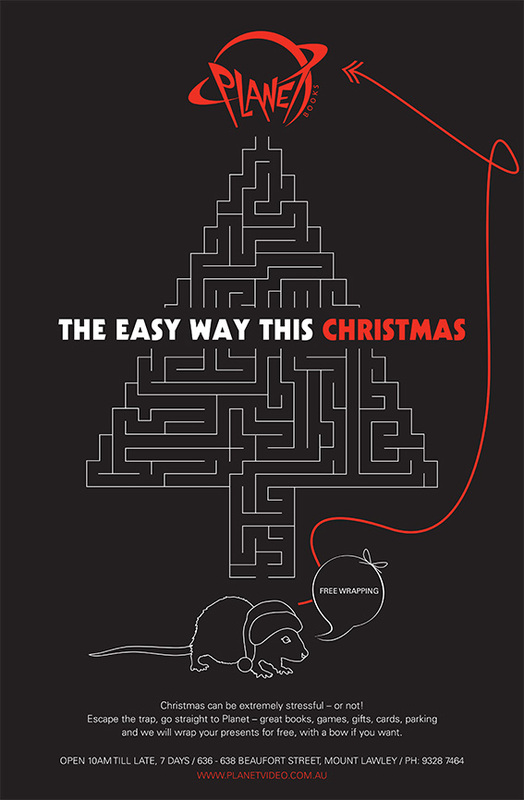 In a year, he’d collected 70kg—more than any sweet-toothed family’s domestic needs. He expects to harvest 100kg over the next year. The 6006-postcode man says business is buzzing. Over the weekend, more than 200 people contacted him, wanting to set up their own hive. He says he’ll take his time, and aims to have all postcodes covered in four years. His Italian neighbour, who’s quit using pesticides on his vegie garden, swears his bountiful crop is due to improved pollination from the 50,000-odd bees now living across the road. Wax by-products are donated to the local bowling club to aid grip on bowls. Find Postcode Honey at New Norcia Bakery in Mount Hawthorn, the Little Cheese Shop in Bayswater and North Perth’s Hobart Deli. For more information, visit http://www.postcodehoney.com.au.